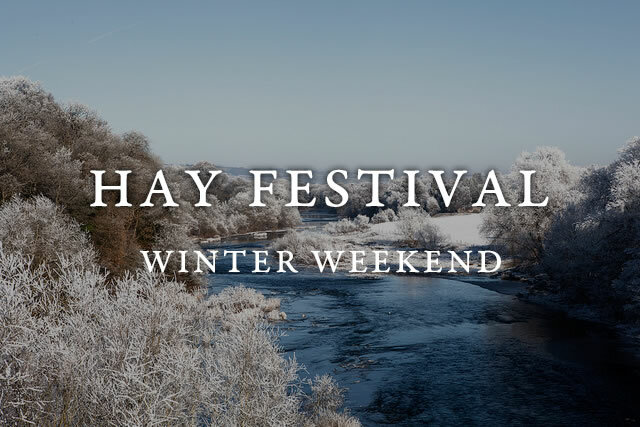 Welcome to our Winter Weekend and the start of Advent in Hay. Whether you’re coming for the first time or the 17th time, please join us to share stories, music and great company, and to conjure some warming and joyful festival spirit. We have programmed an exciting array of events for you including Ben Fogle on Land Rovers, Daisy Goodwin on Victoria, Nic Compton on the shipping forecast. Laugh your Christmas socks off with Mark Watson stand-up, the Scummy Mummies talking about less than perfect parenting and Andy Hamilton on his Star Witness novel. Dance away the Winter chills with The Ben Baddoo Afrobeat Band or simply cuddle up and listen to Flauguissimo Duo or Nuala Honan. Over the weekend the Box Office is in The Swan Hotel, where books by all the authors are available in the Festival Bookshop. We also have five great exhibitors with more gift ideas – Black Mountain Roast, Farmers’ Welsh Lavender, National Trust, RSPB Cymru and the Woodland Trust.